A team of food safety officials inspected a number of sweetmeat shops, restaurants, dhabas and food joints in Guwahati. This is in continuation of the ongoing drive against food adulteration and sale of food in unhygienic conditions. 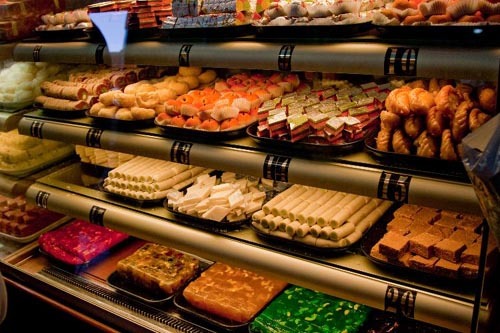 Sweetmeat shop inspected include Diganta Sweets (Last Gate), Kanhaji Sweets (Survey), Loyan’s Bakery (Survey), Gokul Sweets (Beltola), Sharma Sweets (Beltola), Prime Bakes (Survey), Rajbangshi Hotel (Rukminigaon) Ajay Hotel (Rukminigaon) and Shahuji Sweets. A mustard oil godown of Century Mercantile Pvt Ltd was also inspected. “We have served improvement notices to all the inspected restaurants, hotels, and food joints. Food samples have been taken and those are being sent to the food analysts laboratory for necessary testing for food quality,” Tarun Das, Senior Food Safety Officer of the Food and Drugs Administration (FDA)reports The Assam Tribune. Das informed that all the units checked on Wednesday had their kitchen hygiene standards below the required level for which improvement notices were served. “We closed down one kitchen of Prime Bakes and Salasar at Megha Plaza near Basistha Chariali for poor hygiene,” he said, adding that mustard oil samples of ten different brands were collected from Century Mercantile Pvt Ltd for testing. Last week the inspection team had conducted a drive on sweetmeat shops at Fancy Bazar and during inspection, the kitchens of Rookman Sweets, Salasar Mistan Bhandar and Sarma Sweets and were found unsatisfactory in terms of hygiene and sanitation. All the shop owners were instructed to do necessary renovation within seven days and close the kitchens during the period accordingly. “Rookman has sought more time for a thorough renovation of its kitchen and we have allowed that,” Das said.